Artem Tabalin demonstrates how to make web components more accessible via ARIA attributes, keyboard support and validating their visual accessibility. Chrome will display the HTML5 experience if it’s available, but if Flash is required, the user will be asked whether Flash can be allowed to run or not, except on the top 10 sites which will be whitelisted (e.g. Twitch, YouTube). Aurelio De Rosa explains how the command line API (as used in DevTools) allows you to quickly perform debugging tasks directly from the browser console. 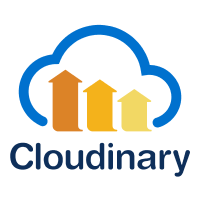 With Cloudinary, you can easily adapt any image characteristic at breakpoints to provide an optimal viewing experience on any device. A golden oldie that has resurfaced this week. Answer several questions and get back some CSS to center your content. Learn things you didn’t know about flexbox from developer, author, and speaker Estelle Weyl in her keynote from Forward Web Summit. A site dedicated to ‘CSSitis’, when your site’s CSS grows out of control. It shows how much CSS many top sites use, tools to optimize your CSS, and case studies and articles on the topic. How to use two little known CSS3 properties that can help when creating responsive layouts: object-fit and object-position. Though browsers are arguably more reliable than they’ve ever been, we still can’t forget about cross-browser testing tools. Ada has 7 options for you. Houdini is a collection of APIs (being worked on by Mozilla, Apple, MS, Google and others) that expose the CSS engine’s internals to developers. It’s still early days but this is a good overview. Starting with the most recent preview release, Web Notifications are enabled by default in Edge. Chrome remains king, with over 60% market share. A new update to Firefox for iOS. XHR2 represents the more recent version of the overall XMLHTTPRequest spec. Will explains how he breaks front-end stylesheets into four major categories: base, components, patterns, and views.